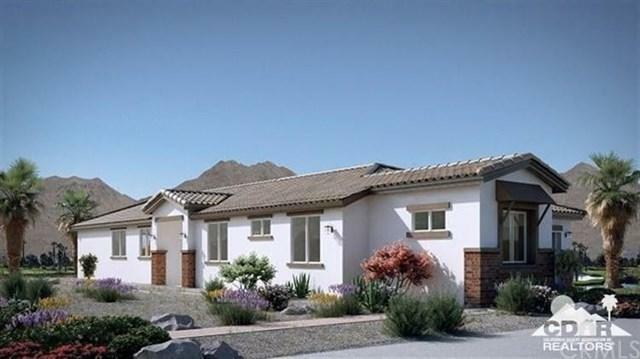 Nestled behind the gates of the legendary Indian Palms Country Club, this Plan 2 (lot 99) boasts 3 bedrooms and 2.5 bathrooms and ready for a new owner. Home will be completed first week in June, 2019. 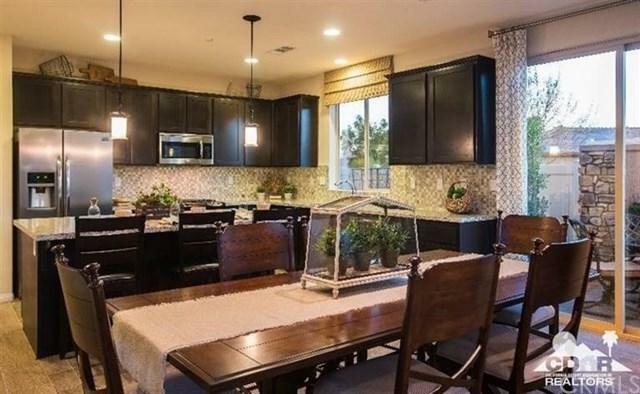 Situated on a large lot on a cul de sac with common area views. 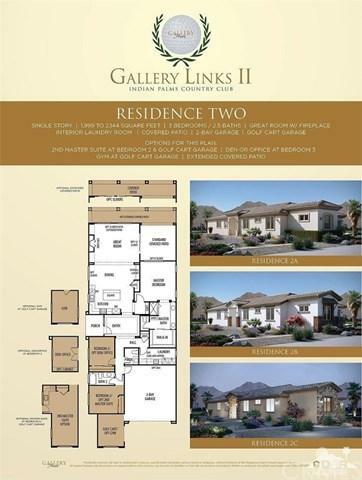 The new homes at Gallery Links offer 3 distinctively unique floor plans. The low HOA dues include full yard landscaping maintenance, tennis, Pickle and Bocce balls courts, community pools and spas. An active Lifestyle fitness center with assorted exercise and Yoga classes. 27 holes of golf with very reasonable memberships or pay as you play. A full service restaurant and bar along with a boutique style hotel for your guests. Welcome to the neighborhood! Listing provided courtesy of Georgia Tack of Gallery Marketing Group, Inc.